Grab some friends and go on a wine adventure of local wineries at downtown Kirkland businesses. Meet the winemakers from 14 wineries and sip, shop, stroll, and sip some more thru scenic Downtown Kirkland, a vibrant waterfront destination with an unparalleled blend of art, dining and boutique shops. Located on the shores of Lake Washington just east of Seattle. GA ticket holders’ wine adventure commences at 6 PM at the Heathman Hotel. Online purchase of tickets are available at $25. Early Bird ticket holders beat the crowd and may purchase their tickets online for $35. Early Bird Wine Walk begins at 5:00PM. You will receive a complimentary tasting Govino glass, and 14 tasting tickets. 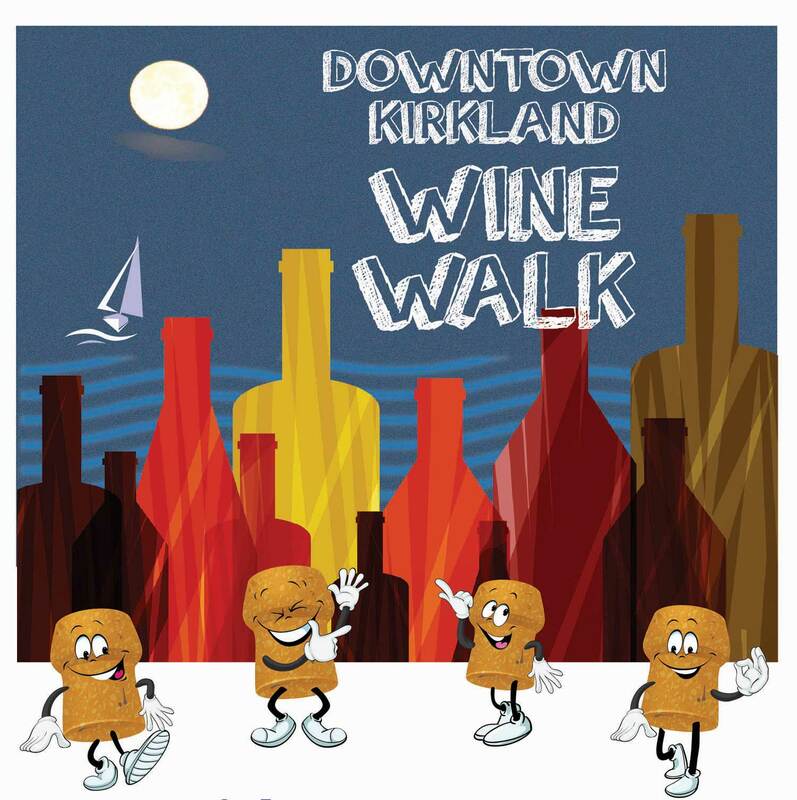 For more information about this event, visit: http://kirklandchamber.org/kirkland-wine-walk/ or phone: 425 822-7066 up to midday Aug. 26. This event has sold out 4 times in a row, so buy your tickets now! RECOMMENDATIONS: We love your visits to our merchants but we don’t recommend you bring non-ticket holders with you. Some of our merchants do not have the space to facilitate a huge number of people. This is a 21+ event so reserve a baby sitter. We love our puppies too but ask you keep your puppy happy at home as puppies can get frightened amongst a large group of people.